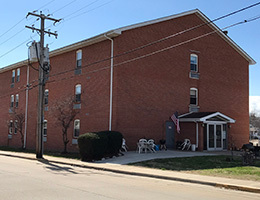 Wm J. Barnwell Apartments sits in a quiet neighborhood in Perryville, Missouri. Located across the street from Perryville’s Senior Center, various restaurants, banks, grocery markets, and a post office are also conveniently located within walking distance of our community. Wm. J. Barnwell Apartments is a subsidized housing community for seniors 62 and over. Call us today at 573-547-4330 or e-mail barnwellapartments@rhf.org to schedule a tour.